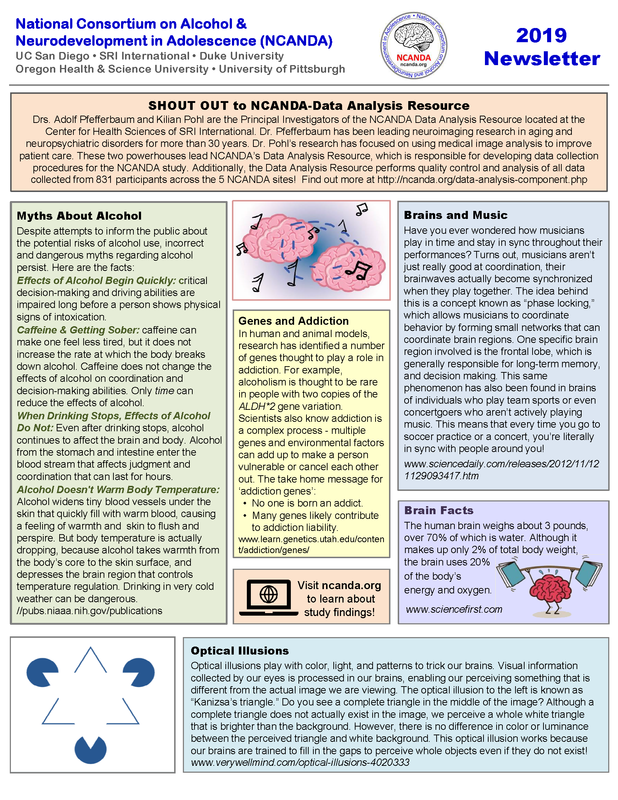 The purpose of the National Consortium on Alcohol and Neurodevelopment in Adolescence (NCANDA) is to determine the effects of alcohol use on the developing adolescent brain, and examine brain characteristics that predict alcohol use problems. The consortium has developed a core battery, including structural and functional brain scans and cognitive testing, for use at all five sites. 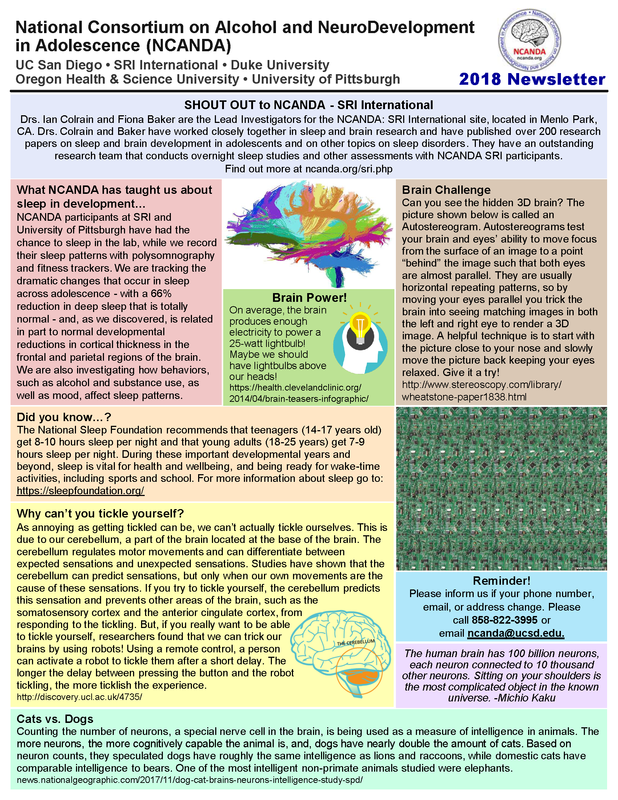 NCANDA conducts specialty projects on sleep, response inhibition, and recovery with alcohol discontinuation. The examination of alcohol consequences focuses on maturation of brain areas that actively develop during adolescence, are key to response inhibition and reward, and may be vulnerable to toxic alcohol effects. Drinking during adolescence interrupts normal brain development and results in gray matter loss, new research shows.